Because of your financial support for ASNV, we’ll be able to continue to conduct citizen science, offer bird walks and classes on birds and birding, advocate for birds and the environment, and work to preserve and improve habitat in Northern Virginia. So thank you to each of you who has helped make it possible. And if by chance you have not yet gotten around to making a donation to help ASNV, it’s not too late. Any additional funds we receive will enable us to expand our existing plans to do even more in the months to come! You can donate online at http://audubonva.org/donate/ or send a check to us at 11100 Wildlife Center Drive, Suite 100, Reston, VA 20190. Audubon at Home seeks a volunteer driver to pick up supplies from the ASNV office at the National Wildlife Federation headquarters in Reston, to deliver them to a site for tabling events in Fairfax or Arlington County, and to pick up unused supplies afterward for return to ASNV in Reston. Drivers will be needed for up to three events per month. Trips can generally be made outside rush hour at the driver's convenience and will be scheduled by driver and AAH participant using a Doodle poll or via phone call. Interested? Write AAH@audubonva.org. Got a Hot Story? Let Us Know! The Potomac Flier wants to deliver local bird-centered news that matters to you. Therefore, if there’s something you want us to write about, let us know at communications@audubonva.org. Several examples of these smaller threats come to mind. Right now, there is controversy over whether Fairfax County should delete plans for two conceptual bike paths through Huntley Meadows Park that could harm sensitive wetlands. In Arlington County, plans are under consideration to add bike paths through several county parks that could harm stream health and tree cover, among other concerns. I don’t want to just pick on bike paths­–I am an enthusiastic biker myself. So, consider Fairfax County’s decision to cut staff expenses in its parks by 15 percent through next June to address a shortfall in expected Park Authority revenues. This decision could affect those parks’ ability to maintain and protect their environment. There’s also a relatively new Virginia law prohibiting any state or local governmental entity from restricting the flying of drones. This statute makes it impossible for local parks to restrict drone flying that may disrupt nesting birds and annoy people attempting to enjoy nature. What can we do to help protect our local environment so that we can continue to enjoy it? Be vigilant. To preserve our natural habitat we must be alert to EVERY threat to the environment. Lost wetlands, tree cover, bird nesting sites, and native plants cannot easily be recovered. Each of us needs to be willing to take action on local issues important to the environment. These issues are generally overlooked by national organizations, which tend to focus on the “macro” threats. For those of you who don’t want to take an advocacy role yourself, local organizations, including ASNV, can use your donations and your volunteer time to help protect the environment. “Think globally, act locally” might be an overused phrase, but it’s the best way to ensure that we can continue to enjoy the habitat and birds we love. February 2, 1 to 3 p.m. The GBBC provides a snapshot of where birds are in real time. It’s spontaneous; unlike Project Feederwatch, you’re not restricted to your own backyard or to a particular feeding area, and there is no commitment to 2 specific days every week for 6 months. You can count anywhere, for as little as 15 minutes or as long as a walk through a park. This workshop will teach you how to count and how to report your count, and we’ll do some “real time” practice. 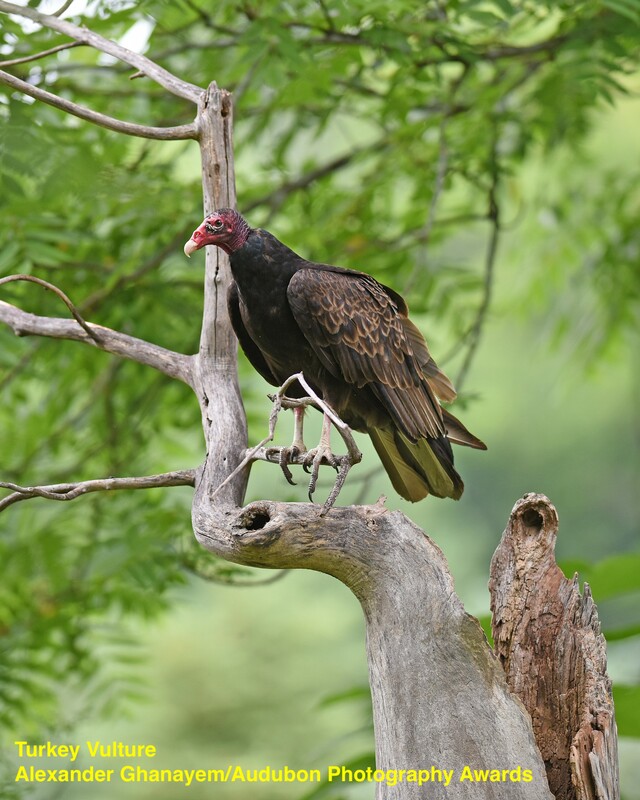 Join Carol Hadlock to learn the history of the count, how to prepare your feeders or join the count at Walker Nature Center. We’ll spend some time practicing with the birds at the ASNV feeders. This workshop is FREE, but registration is required. I live in Annandale with my parents, my brother, and a very spoiled dog and (indoor) cat. I started birding with my family as a kid, and we always keep a pair of binoculars on the windowsill in case something interesting flies by. My favorite bird is probably the mourning dove, because of its low, haunting call, or the cedar waxwing because it’s pretty. I’m looking forward to doing some advocacy work while I develop my writing skills. I live in Reston, and enjoy the diversity of birds nearby. My husband and I like to identify the birds at our feeders and nesting around our house. The barred owls are our favorites, and they are frequent visitors. We have seen two seasons of barred owl chicks being raised in our neighborhood trees. Many of them don’t seem to mind posing for photos. I’m looking forward to getting to know more about the local birds and improving my birding skills. We would like to thank our outgoing communications director Roger Di Silvestro for his seven months of dedication. We wish him the best of luck as he finishes writing his book. Source: Haskell, David George. The Forest Unseen: A Years Watch in Nature. NY, NY, U.S.A.: Penguin Books, 2013. Time is short! Applications must be submitted by February 15. You can find more details on Educator’s Week and the scholarship application at http://audubonva.org/hog-island-scholarship/. We’ll announce the scholarship winner on March 15. Local national parks like the George Washington Memorial Parkway and Manassas National Battlefield had little staff on duty as trash cans have overflowed, attracting foraging wildlife and littering land and waters. Nationally, around 16,000 to 19,000 NPS employees were furloughed. The government has been reopened for three weeks while negotiations continue. ASNVers may wish to urge their U.S. Senators, Representatives, and the Trump Administration to come to a resolution to keep the government open, in order to protect our valuable natural resources. The Virginia General Assembly convened on January 9 and is meeting for 45 days, in what is known as the “short session.” They are considering many bills, including bills addressing wildlife corridors, caterpillar suppression, tree preservation, litter, climate change, coal ash storage, and more. Virginia’s agricultural cost-share program, which supports farm conservation practices and related programs, would receive approximately $90 million for fiscal year 2020. The Stormwater Local Assistance Fund, which provides matching grants to localities for projects that reduce polluted runoff, would receive $50 million for fiscal year 2020. The Virginia Land Conservation Foundation, which provides state matching grants for the preservation of special lands in the Commonwealth, would receive $11 million for fiscal year 2020. For the Department of Environmental Quality, an increase of $2.5 million would support staff that monitor and enforce regulations that protect natural resources. Virginians will elect all members of the Virginia House of Delegates and Senate in November 2019. On January 24, 2019, the Virginia House of Delegates' Counties, Cities and Towns Subcommittee #3 held a hearing on House Bill 2495, which would prevent localities from spraying any pesticide to kill fall cankerworms between March 1 and August 1. The bill, which was sponsored by Delegate Kathy Tran (D-Fairfax), was introduced because spraying for fall cankerworms kills all caterpillars, which are important food sources for birds during migration and breeding season. Delegate Tran offered a substitute to the original bill to permit spraying only on properties whose owners request it. Speaking for the bill were Delegate Tran; Ashley Kennedy, Entomologist, University of Delaware; Glenda Booth, Audubon Society of Northern Virginia; Pat Calvert, Virginia Conservation Network; and Steve Lovejoy, Virginia Sierra Club. Speaking against the bill were Chris Sigler, Fairfax County; Ron Jordon, Prince William County; and the Virginia Agribusiness Council. On a motion offered by Del. Riley Ingram (R-Chesterfield), the subcommittee voted 5 to 4 to lay the proposed bill on the table, meaning consideration of the bill was suspended indefinitely. It unlikely that the bill will be considered further during this legislative session. Want to learn more? 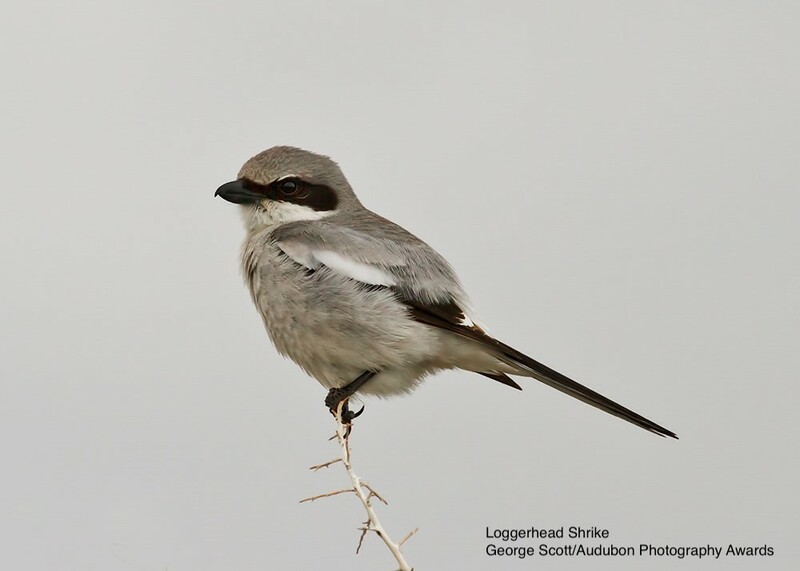 ASNV’s own, Glenda Booth, has written an excellent article about these unusual birds. Prince William County is reviewing its Comprehensive Plan this year. The Comprehensive Plan is vitally important for county planning of amenities such as parks and natural recreation areas. The county has far less parkland per resident than is called for by its own standards, a situation that will only get worse as population increases. You can read more about this at http://www.pwconserve.org/newsletters/current.htm. ASNV would like to help advocate for increases in county parkland and protection of the existing lands during the Comprehensive Plan review. But we need help from residents of Prince William County who are willing to get involved in the process. Would you like to help? Drop an email to info@audubonva.org with the subject line Prince William County Volunteer. You’ll be glad you did! Last month, ASNV sent comments to Arlington County staff (and Board members) on a proposed Bicycle Element to the County’s Master Transportation Plan. ASNV forcefully opposed two proposed off-street bike trails that would endanger natural resources in Glencarlyn and Barcroft Parks, including Moses Ball Spring, the associated creek to Long Branch Creek, and the globally significant Magnolia Bog. ASNV also opposed widening or adding lighting to the W&OD and Four Mile Run trails in natural areas of Glencarlyn and Bluemont Parks. The formal comment period on the draft plan is closed. It will be further revised and presented to the Planning Commission and the Transportation Commission, and then it will go before the Arlington County Board. If you are interested, you can assist our advocacy on these issues by writing to members of the Arlington County Board between now and April, when action is anticipated on the Plan. Mark your calendars now! 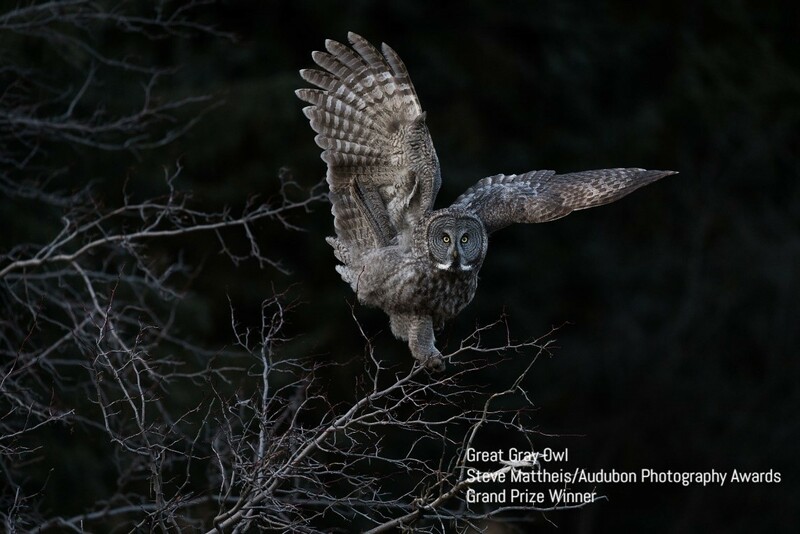 Join us and our good friends at Walker Nature Center during the month of February to celebrate the 2018 Audubon Photography Awards Winners. 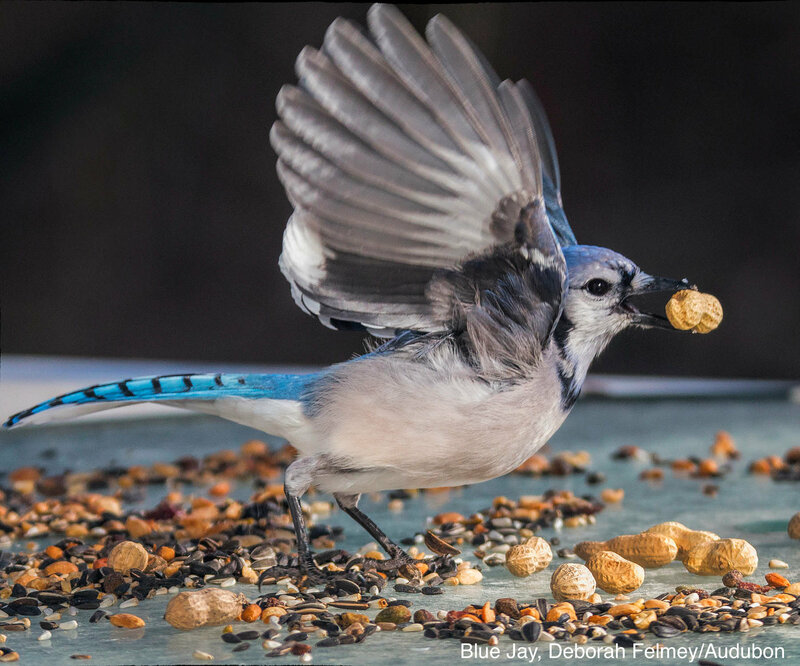 Audubon judges, including Nature's Best Photography co-founder Steve Freligh, bird expert and Audubon editor Ken Kauffman, and National Audubon Society photography director Sabine Meyer, had the difficult task of selecting from more than 8,000 entries! Images were submitted by photographers from all 50 states, Washington, D.C., and 10 Canadian provinces. Events include a photo exhibition, bird watching, kid friendly activities and a documentary. Monday and Wednesday – Friday 9 a.m. to 5 p.m. The next GBBC is February 15-18. Bird enthusiasts of all ages count birds to create a real-time snapshot of where birds are ranging. Join Carol Hadlock to learn the history of the count, prepare your feeders or join the count at Walker Nature Center (details below). This workshop is FREE, but registration is required. February 10, 1 to 3 p.m. Nature activities for all ages include a welcome presentation, hands-on activities for kids, and guided bird walks. February 17, 1 to 4 p.m.
Join us at Walker Nature Center for a documentary film about the largest and rarest eagle on earth – the Philippine Eagle. Registration required through Walker Nature Center at 703-476-9689. $5 suggested donation. Reserve the afternoon of March 24, when Ashley Kennedy, an entomologist at the University of Delaware, will present “What Birds Eat.” Ashley has used a unique combination of video cameras and citizen science in a detailed study of the insects that various bird species eat. Her informative talk is filled with wonderful photos and videos of birds gathering food and feeding it to their nestlings. She’ll also discuss how to attract birds to your yard by planting flowers and other plants that attract birds looking for insect meals. We’ll meet in the cafeteria of the National Wildlife Federation at 2:30 for a social gathering and begin the program at 3 p.m. If you’d like to bring some snacks to share, we’d really appreciate it! Wednesday, February 13, 8:30 to 11:30 a.m.
Waterfowl on the lake are always changing—or at least those we can see change in their variety. And the resident eagles should be busy. Jean Tatalias leads. Sponsored by the Northern Virginia Bird Club. Getting there: Entrance is off Route 123, south of Burke Lake Road. Follow signs to Park, turning left at second traffic light past Burke Lake Road. Take an immediate left in the park, then meet at the lot on the right (near the mini golf course). 7315 Ox Road, Fairfax Station, 22039. Sunday, February 24, 7:30 to 10:30 a.m.
Getting there: Take Reston Parkway north from the Dulles Toll Road and turn right on Baron Cameron Avenue. Meet in the parking lot for the tennis courts on Village Road, north of Baron Cameron Avenue. Wednesday, February 27, 8:30 to 11:30 a.m.
Sunday, March 10, 8:00 to 11:00 a.m.
Sunday, March 17, 7:30 to 10:30 a.m.
Getting there: From Route 7, go west on Baron Cameron Avenue, and turn north on Village Road. (opposite Lake Anne Village Center). Make an immediate right onto Brown’s Chapel Road. and park by the ball field. 1575 Brown’s Chapel Road. Wednesday, March 27, 8:30 to 11:00 a.m.
Jean Tatalias leads for the Northern Virginia Bird Club. Getting there: From Route 50 outside the beltway, take Prosperity Avenue South one mile to the entrance to the parking lot on the left (east) side. 3401 Prosperity Avenue, 22031.